Before: Dawn's cramped jewelry shelf. 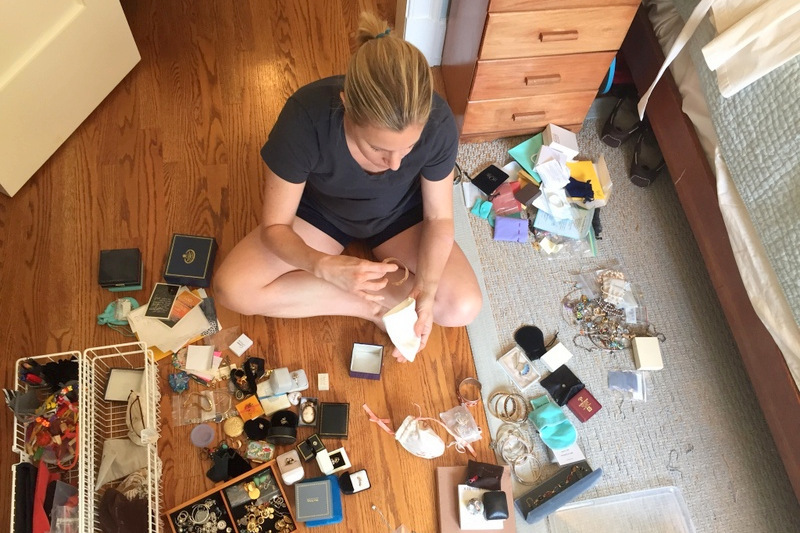 Dawn In Process: sorting costume jewelry and gathering empty boxes. After: Dawn's streamlined new jewelry shelf, easy to both see and use. My mom had a jewelry box when I was a kid that I loved to look in and play with. Maeve helped me to re-create this experience for my daughters. As a final treat, Dawn turned to her jewelry collection. 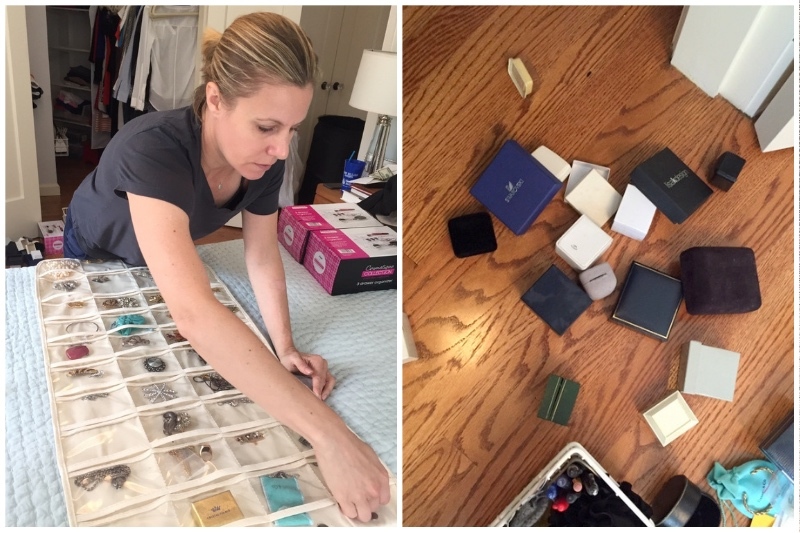 Dawn’s fine and costume jewelry lived deep inside her closet. Most of what she owned was uncomfortably out of sight and out of mind. Dawn was eager to reconnect with the precious jewelry that she loved, while letting go of jewelry that no longer served her. She also hoped to create a welcoming space so that her daughters felt free to explore “mom’s jewelry”, just as she got to do as a kid. Maeve coached Dawn as touched she every jewelry item once. 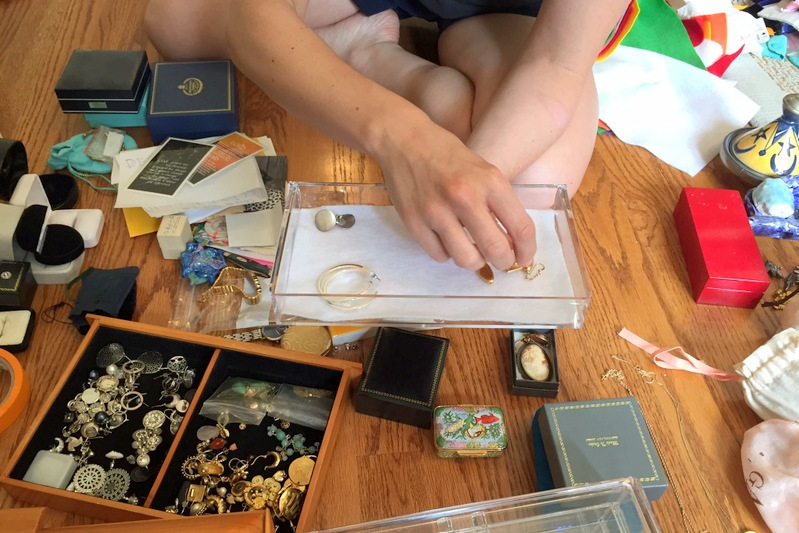 As she worked, Dawn sorted jewelry into like categories according to the themes her life. In the process, Dawn reconnected with her everyday jewelry, her fancy ‘going out’ jewelry, and her memorabilia jewelry, which were removed from dark, enclosed boxes and brought cheerfully front and center. 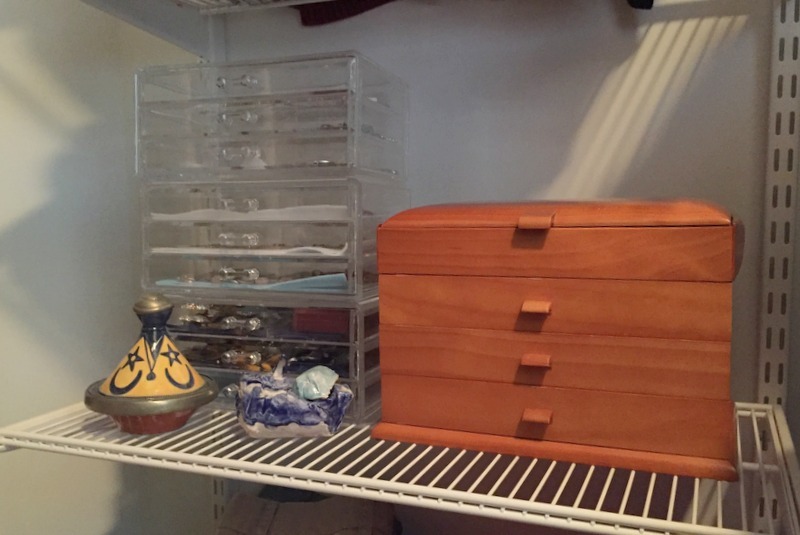 She replaced boxes with an easy-to-see-through lucite box, and lined her drawers with felt, for a delicate touch. 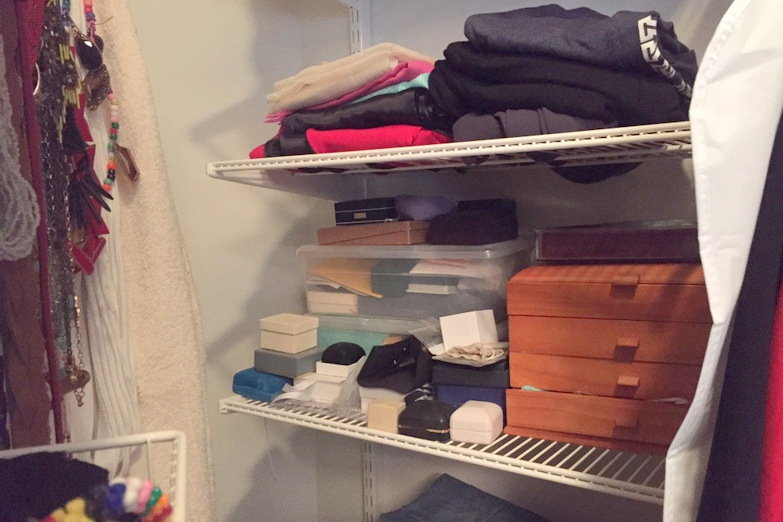 Dawn rediscovered the jewelry that she loves, and achieved her goal of creating an easy-to-access jewelry display case so that her daughters could explore. 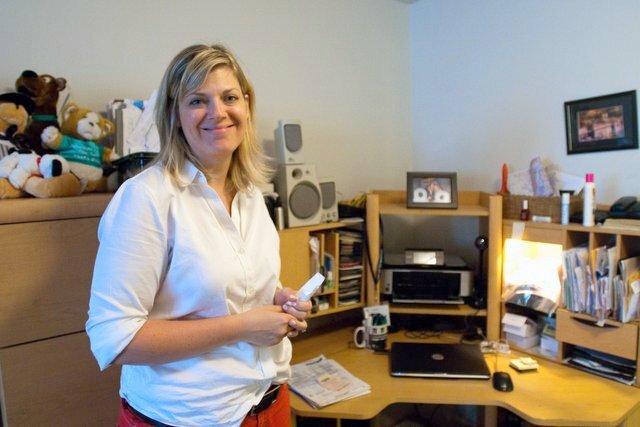 Sarah clears space in her bedroom to create a cozy haven. Alice expands the footprint of her studio apartment kitchen. Nicole gets grounded in her busy home office.